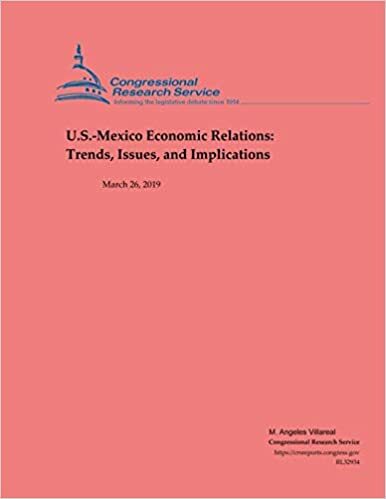 The economic and trade relationship with Mexico is of interest to U.S. policymakers because of Mexico’s proximity to the United States, the extensive trade and investment relationship under the North American Free Trade Agreement (NAFTA), the conclusion of the NAFTA renegotiations and the proposed U.S.-Mexico-Canada Agreement (USMCA), and the strong cultural and economic ties that connect the two countries. Also, it is of national interest for the United States to have a prosperous and democratic Mexico as a neighboring country. Mexico is the United States’ third-largest trading partner, while the United States is, by far, Mexico;s largest trading partner. Mexico ranks third as a source of U.S. imports, after China and Canada, and second, after Canada, as an export market for U.S. goods and services. The United States is the largest source of foreign direct investment (FDI) in Mexico. Most studies show that the net economic effects of NAFTA, which entered into force in 1994, on both the United States and Mexico have been small but positive, though there have been adjustment costs to some sectors within both countries. Much of the bilateral trade between the United States and Mexico occurs in the context of supply chains as manufacturers in each country work together to create goods. The expansion of trade since NAFTA has resulted in the creation of vertical supply relationships, especially along the U.S.-Mexico border. The flow of intermediate inputs produced in the United States and exported to Mexico and the return flow of finished products greatly increased the importance of the U.S.-Mexico border region as a production site. U.S. manufacturing industries, including automotive, electronics, appliances, and machinery, all rely on the assistance of Mexican manufacturers.